This is one of my favourite books at the moment. I absolutely love it! My brother bought it for my birthday in April, and it's so wonderful!! At the moment, because of my health, I'm unable to read books because they make me really tired and I forget the plot and blah blah blah, but this books is really amazing because it's 90% photos. So I can enjoy it without having to read much! 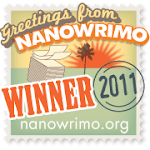 The reading parts are in nice, small chunks too, so I just read a little bit at a time. 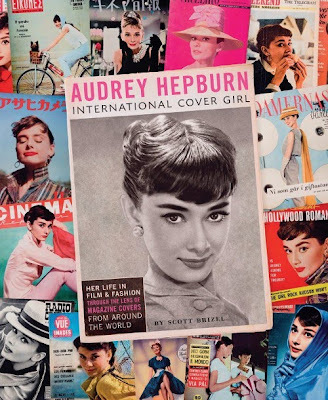 Audrey Hepburn: International Cover Girl (I'll give the details at the end) explores her life in 'film and fashion' by way of over 600 magazine photos from all over the world. It's truly a little treasure trove - one that any fan of Audrey should own! The front cover is beautiful (I want to copy and frame it!) and inside it looks so lovingly designed. It's a really beautiful book - just like Audrey Hepburn, An Elegant Spirit (which, if you haven't read, you should!). There are so many photos of Audrey that I've never seen before, and I thought I had a rather large collection! The book is divided into many sections. The first 8 pages are made up of the introduction and "Audrey's Early Years: Childhood and the War (1929-1947)" and then the next 250-odd pages are split into sections on Audrey's major films. A little about her British Residency and 'discovery' is to be found at the beginning, and a few pages about entitled "Roman Housewife to Goodwill Ambassador (1976-1993)" at the end. Overall, the text is nothing very spectacular as most of it you can read in various places already, but, after all, the book isn't really about the text - it's about all the glorious photos! And, as I've said, they really are spectacular! I could sit looking at them for hours - every time I open it, I see a photo that I haven't seen before! Price: R.R.P. £24.99 but available online for varying prices. I might have to go drool over the pictures in Waterstones soon! I saw it and Borders and WANTED IT! I didn't have enough money with me though! Gosh, it really looks amazing!